Four government bodies in Burke County, N.C., have joined together to improve emergency communications. Four government bodies in Burke County, N.C., have joined together to improve emergency communications. The Burke County Sheriff’s Office, Burke County Emergency Medical Services (EMS), and the cities of Morganton and Valdese have consolidated their public safety answering points (PSAPs). Burke County officials were concerned about pending state legislation that would require a minimum number of positions in PSAPs. When this requirement took effect, it would have dramatically increased the number of positions and the financial expense of operating the four PSAPs in the county. Consolidation appeared to be the answer. So, Burke County hired Mission Critical Partners, Inc. (MCP), a public-safety communications consulting firm headquartered in Port Matilda, Pa., to conduct a feasibility study. When the firm concluded that consolidation indeed was feasible, Morganton’s public safety department applied for a state grant. 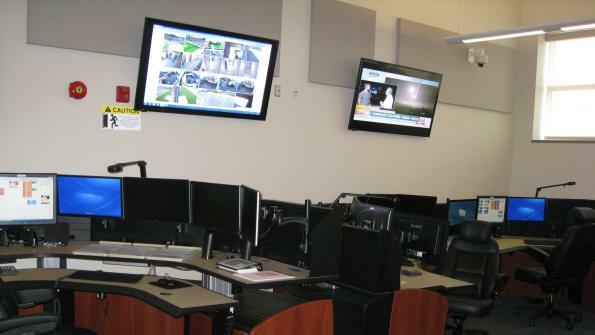 The result was a $7.4 million award that led to the construction of the county’s new 9-1-1 center, which replaced the four aforementioned PSAPs. The 10,000-square-foot facility features new telephone and radio systems, as well as an upgraded computer-aided dispatch (CAD) system. The new Motorola radio consoles are directly linked to the North Carolina State Highway Patrol VIPER system, allowing for seamless interoperability among the agencies. “The fact that the consoles will interoperate with those at the Highway Patrol will make it easier to share information, which in turn will speed emergency response,” Strezinski says. To learn more about Mission Critical Partners click here.